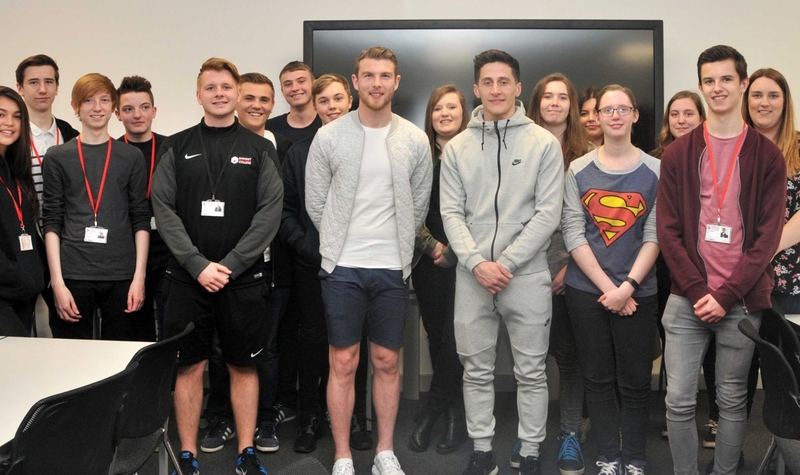 Barnsley FC stars George Williams and Sam Winnall visited Barnsley Sixth Form College to inform students about the National Citizen Service (NCS). 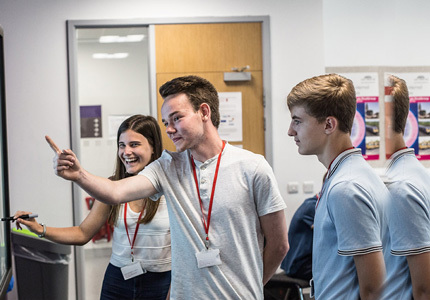 The pair met with A Level students at the new £18m Sixth Form College campus to explain how they can benefit from becoming involved with NCS, which is run by Barnsley FC’s Reds in the Community programme. A number of Barnsley Sixth Form College students have already committed to participating in NCS over the summer. NCS gives young people skills valued by employers and an opportunity to learn to budget for themselves and live independently. UCAS recommends students include NCS in their personal statement when applying for university. The students also took the opportunity to ask George and Sam some football-related questions about Barnsley’s Wembley success in the Johnstone’s Paint Trophy and the upturn in form over the second half of the season which saw the Reds achieve a place in the League One Play-Offs. 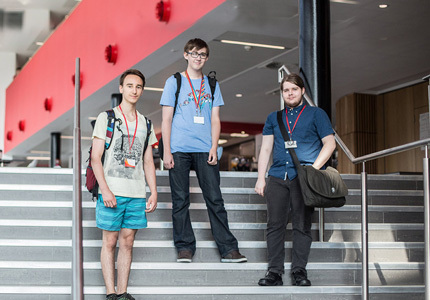 Marcus Dearns, Personal Progress Mentor at Barnsley Sixth Form College, said: “It was fantastic to have George and Sam here to talk about the NCS programme and for them to share some of their recent highlights with our students.